The bangle is made with 925 solid sterling silver. 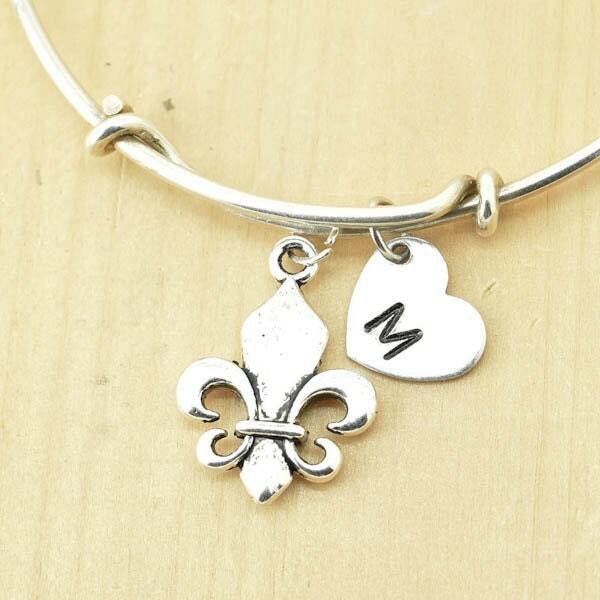 The bangle is adjustable with pewter Fleur-De-Lis charm. The bangle is NOT silver plated, the color will not turn to brown, green or copper. The bangle is adjustable to fit most people on your wrist. Sterling silver is nickel free and lead free. - The bangle packed with a gift box.